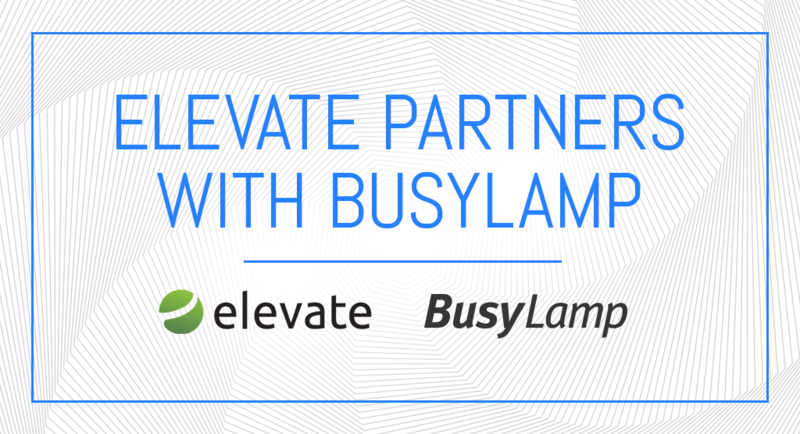 Los Angeles/New York City – July 18, 2017 – Elevate Services, a global legal service provider, has partnered with BusyLamp, a global legal operations software vendor, to deliver state-of-the-art eBilling, matter management, invoice review and legal operations services. This integrated solution will give legal operations organizations an easy option to jump-start their matter and spend management transformation. As the legal industry’s leading integrated service provider, Elevate will offer consulting, analytics, and managed services to ensure BusyLamp subscribers maximize the return on their investment. Clients will benefit from a unique task-based user experience, enhanced invoice review, powerful analytics, intelligent reports and actionable visibility into law firm billing performance. “With Elevate we have found an ideal partner and somebody who shares our vision of a transformed legal market. The combination of its diversified set of strategy, operations, technology and talent services with our powerful lightweight software solution will enable law departments to take their legal operations to the next level. Our partnership is a natural fit and a fabulous example of how legal service delivery and technology are evolving and reshaping the industry” says BusyLamp Co-Founder and Co-CEO Michael Tal. Elevate is the business of law provider of strategy, operations, technology and talent for legal departments and law firms. The company’s consultants, lawyers, process engineers, and technologists improve efficiency, quality and outcomes for clients worldwide. Founded by a team of lawyers and powered by many frustrated users of endless spreadsheets and clunky legacy eBilling and matter management systems, BusyLamp is the leading SaaS alternative for efficient enterprise legal management. Today’s legal departments take advantage of its sophisticated sourcing, fee tracking, matter management, eBilling as well as analytics & reporting features.